We are now taking bookings for the 23rd annual Building Control NI Fire Safety Conference. This highly acclaimed event is being held in the historical City of Armagh notably the Armagh City Hotel on the 7th & 8th of February 2019. The aim of the Conference is the promotion and sharing of fire safety knowledge and expertise throughout the province enhancing the safety of all. It attracts delegates from a range of backgrounds including Fire and Rescue Services, Building Control, Entertainment Licensing, Universities, Consultants and International Service Providers interested in Fire Safety Research and Best Practice. 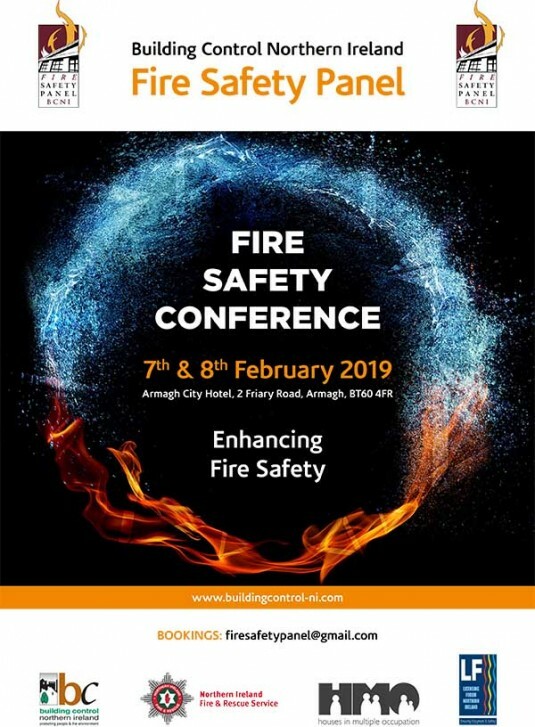 Our speakers have been drawn from various disciplines in the field of fire safety and include fire safety professionals, fire brigade, product manufacturers and suppliers, trade bodies, research establishments and fire investigators. We look forward to your continuous support and would recommend early booking to what is going to be a well-attended informative Conference.